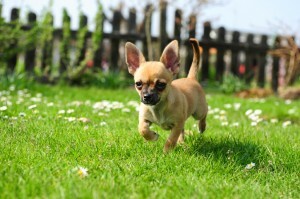 Smaller dogs can’t jump as high, but they have a lot of energy and can fit in small spaces. 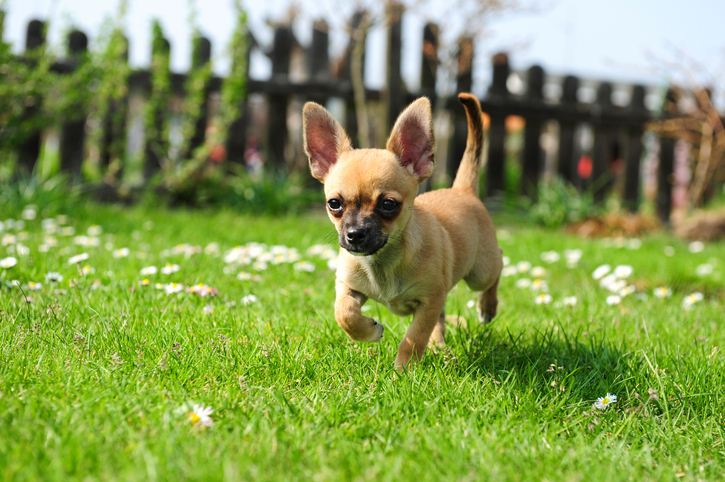 While it may immediately seem easier to construct an effective small dog fence than one meant for larger dogs, smaller dogs often make up for their lack of size with rambunctious behavior and a penchant for getting into all kinds of mischief. While they cannot physically jump over a tall fence, their smaller bodies actually give themselves a number of advantages when it comes to getting loose. In order to make sure your dog can’t take advantage of his tiny stature to make a big escape, keep these things in mind when considering a small dog fence. Luckily, a smaller dog requires a shorter fence, which means ultimately a cheaper one. You can use virtually any material, from wood to vinyl, and will not lose visibility of your surroundings like you potentially can with a high fence. A solid panel privacy fence is ideal if you want a climb-proof fence which will stop your dog from being distracted or agitated by passersby. If you want visibility, and choose a fence such as a wood split rail fence, be sure to maintain it properly so the wood does not warp and make openings through which your dog can escape. This entry was posted on Friday, May 13th, 2016 at 4:20 pm. Both comments and pings are currently closed.